Breaking news: UberEats is officially a thing, and Uber now delivers food from London restaurants. The best part? Delivery is free for the first month. Breaking news: eating just became even easier. If some great cannabis, Netflix, and Mexican food sound like the perfect evening, you’re in luck. The ridesharing service Uber has just expanded into a new market. UberEats is officially a thing, and Uber now delivers food from London restaurants. The best part? Delivery is free for the first month. 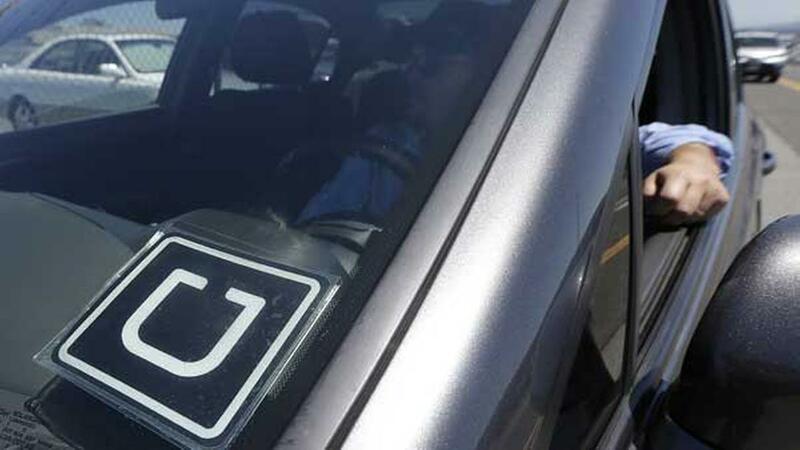 Canna-enthusiasts have yet another reason to love Uber. As of today, you can use Uber to order food from 150 different restaurants in London. That’s right, if you’re suddenly struck by an attack of the munchies or have just decided that you’re just too paranoid to leave the house, UberEats has your back. Delivery is available from 11am to 11pm all seven days of the week. To celebrate their London launch, delivery is free for the first full month. After that, you can get £20 off of your next order if your food doesn’t show up within 30 minutes. Unlike Deliveroo, UberEats has no minimum order requirements. So, you can seriously just have someone deliver a cup of tea if you really wanted. UberEats has already launched in Paris and several U.S. and Canadian cities. London is the 18th city to receive the service. To place an order, you have to download the UberEats app. Chilango, Hummus Bros, Pho, and the froyo shop Snog are just a few of the companies that are already on board with the app. This is kind of a big deal, as many restaurants featured in the app don’t typically deliver with other services. This gives Uber an edge over the other popular food choices for the high-n-hungry homebodies, Deliveroo, Hunger House, and JustEat. Uber’s new service follows a similar model to the now famous car booking app. All delivery drivers are contractors rather than direct employees. While 150 restaurants have already partnered with Uber, more are expected to hop on board as the service becomes more established. There’s a catch, though. UberEats currently only delivers in Central London, Zone 1. It hopes to expand into Zones 2-4 and other UK cities in the coming weeks. Thousands of drivers have already contracted as a part of this new service, and the average hourly wage is higher than other delivery services as well. How do I use UberEats? Fortunately, UberEats is quite simple. Your credit card information is conveniently transferred from the traditional Uber app as soon as you download and sign in to UberEats. The app works with iPhone and Android devices, and you simply browse through restaurants and swipe to see menu items. The new app uses the same rating system as it does for hired drivers. Don’t like your food? You can give specific menu items a thumbs down. Did your delivery person rock your world? Thumbs up all the way. As any cannabis lover knows, food delivery is one of the best inventions on the planet. There’s nothing more satisfying that having someone bring you exactly what you’re craving after you’re two bowls in. For those who that sitting on the couch and enjoying your favorite herb couldn’t get any easier, it just did. Now, if only they actually delivered cannabis, we’d be set. Regardless, we hope you enjoy your snacks. Grab a bite for us! Are you going to try UberEats? Let us know how you like it! Share your thoughts with us on social media or in the comments below. We’d love to hear from you!